Park Ferry is conveniently located close to the Belford Ferry to NYC. 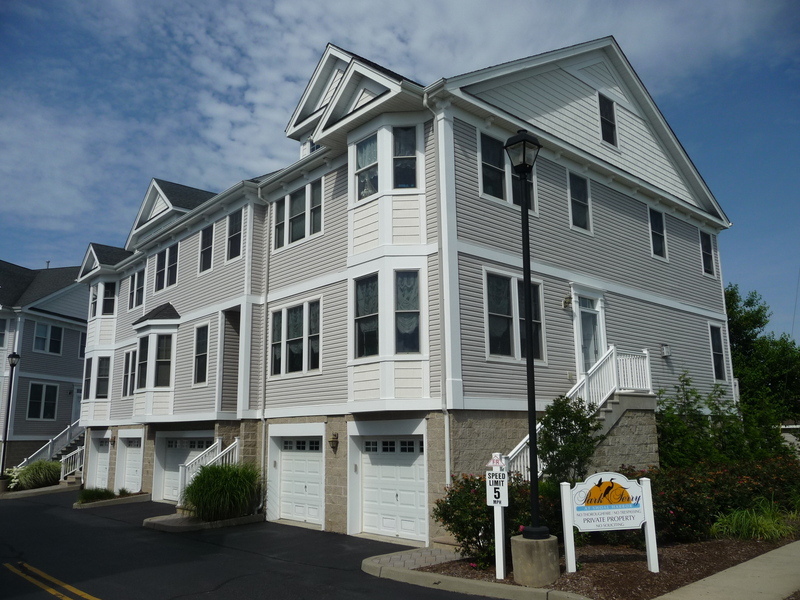 Park Ferry is a community of 24 townhouse style condominiums located north of Route 36 near Sandy Hook Bay in the Port Monmouth section of Middletown. Built in the mid 200's, each home has three bedrooms, 2.5 baths, a fireplace and a 2 car garage and the sizes are either 2114 or 2136 square feet, according to tax records. For commuters, the NY high-speed ferry is about a half mile away, NJ Transit bus service is about a mile away on Route 36 and the Middletown train station is about 3.5 miles from the door. For beach lovers, the entrance to Sandy Hook and local area beaches is about a 15 minute drive.